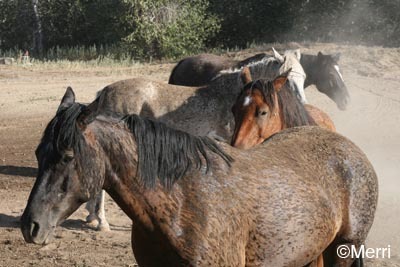 This is one gang that truly loves to wallow in dirt and mud. 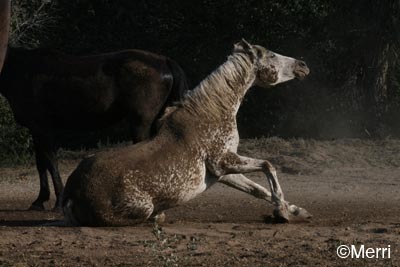 Naturally, the whitest horse likes to find the thickest mud hole. 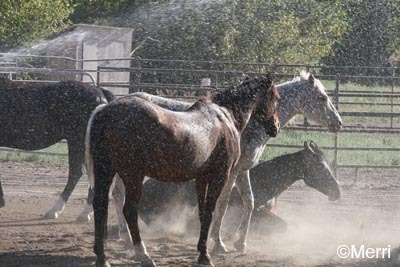 When a human puts up a sprinkler on a plot of dirt and makes you a custom mud patch, how can any rational equine resist a shower then a good roll in the mud? 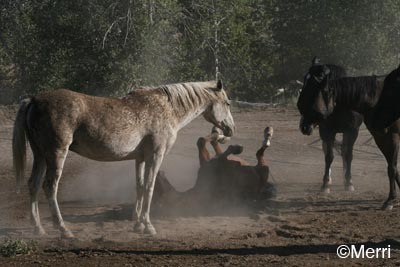 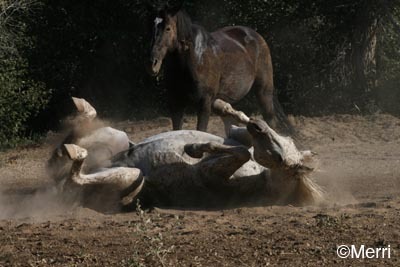 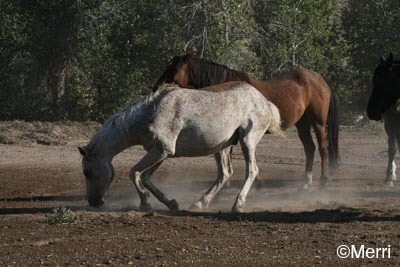 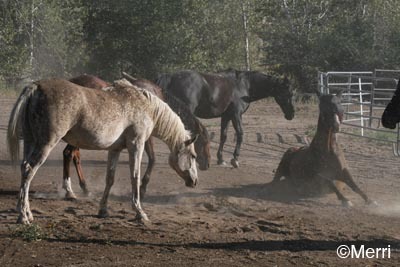 Some of the horses accidentally get sprinkled on and it's enough to make them want to roll. 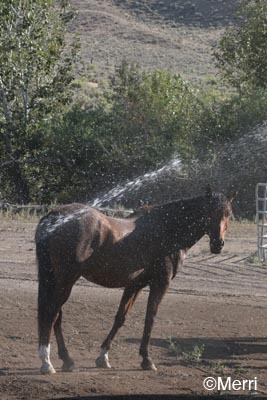 Jose has already shown he loves sprinklers, loves to get good and wet, and he is still the best shower-er of them all. 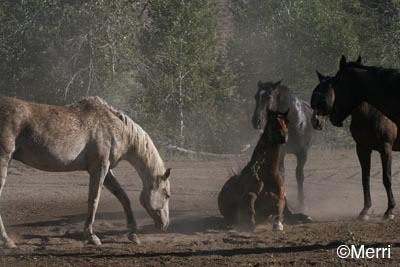 The herd stands around taking turns, watching each other roll (unless they just can't wait their turn and have to crowd in there), scoring each other for style and dirtiness. 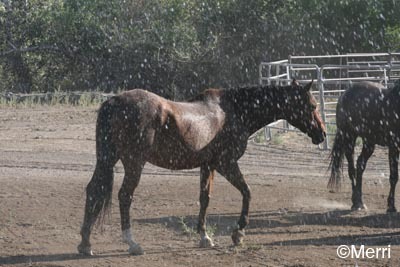 Jose obviously won for Best Shower-er. 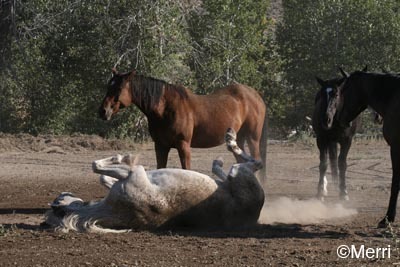 but Mac hands down won the Dirtiest Horse Award. 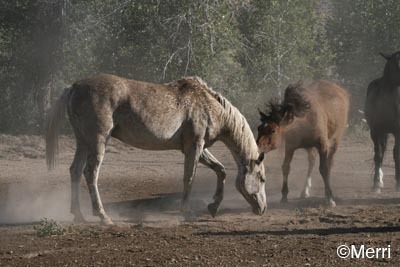 They are Owyhee Dirtbags and proud of it! 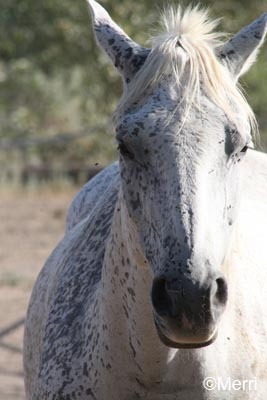 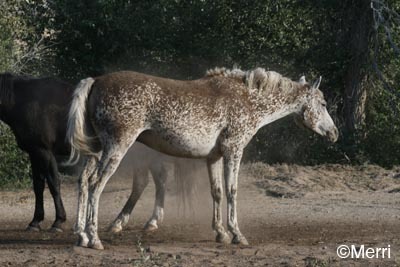 No, Rushcreek Mac has not turned into an Appaloosa! 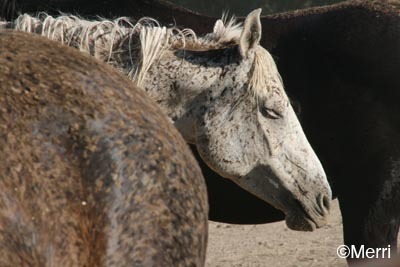 I swear my next horse is going to be a dirt colored horse.